YAY, its Feb 25th, 2014 and the book is finally out in the stores...... So lets see what it is actually about. I got to do a lot of FUN research for this series, because of the awesome Las Vegas setting! I go to Vegas every year for a family event. Once I realized I was going to write this book, I walked through Vegas seeing it through the eyes of my characters, and being inspired by the different hotels for scenes in the book. My best friend came out to Vegas with me, and we went “exploring” through Vegas to find places that would inspire scenes. We walked through the shops, ate at the restaurants, partied at the clubs, and everything. It was a blast! My favorite part was walking through the Wynn Hotel, which is the hotel that inspired the Diamond. Q: How similar to its principle protagonist and the main cast are you? There are four main characters in the book, and out of all of them, I’m by far the most like Courtney. (The most down to Earth and goal-driven sister.) Although I also have aspects of the other girls in me, like Savannah’s optimism, Peyton’s dislike of following arbitrary rules, and Madison’s confidence. Q: Describe 'The Secret Diamond Sisters' in 5 words. 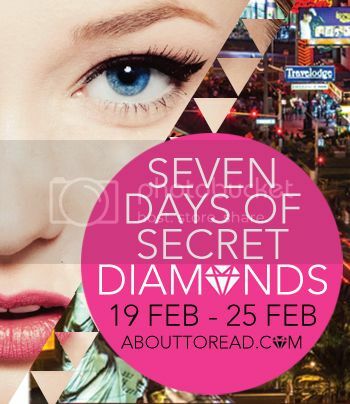 Glitzy, entertaining, sisterhood, romance, and sparkly! Q: How was your experience working with Harlequin? Do you have specifically marvelous moment that comes to mind? My experience working with Harlequin TEEN has been incredible! My editor, Natashya Wilson, is so insightful about how to make the story the best it can be, and has pushed me to bring the story and characters in the book to levels I never dreamed possible. A particularly great moment is when I first saw my cover. It was the moment when I could finally imagine what my book would look like on bookshelves, and the fact that the book would be published became more real than ever. I stared at the cover for HOURS the night that I first saw it! 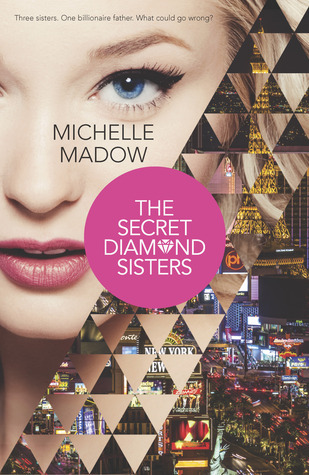 Michelle Madow has visited Las Vegas every year since she was fifteen years old, and was inspired to write The Secret Diamond Sisters while walking through the beautiful Wynn Hotel. She grew up in the suburbs of Baltimore, then went to Rollins College in Winter Park, Florida. She wrote her first novel, Remembrance, in her junior year of college, and later went on to self-publish it as book one in the Transcend Time Saga. She wrote The Secret Diamond Sisters in the year following graduation, and is so happy to finally share it with the world! Michelle lives in Boca Raton, Florida, where she is writing more novels for young adults. She loves reading, spending time with family and friends, traveling, shopping, sunshine, Disney fairy tales, and Broadway musicals. She loves connecting with readers online, so be sure to follow her on Facebook (facebook.com/MichelleMadow), Twitter (@MichelleMadow), and Instagram (@MichelleMadow). See, I think this is a good story, but I liked the Transcend Time series way better.